 • One of the issues confronting managers at the workplace is how to handle probationers and what are the employer’s rights. 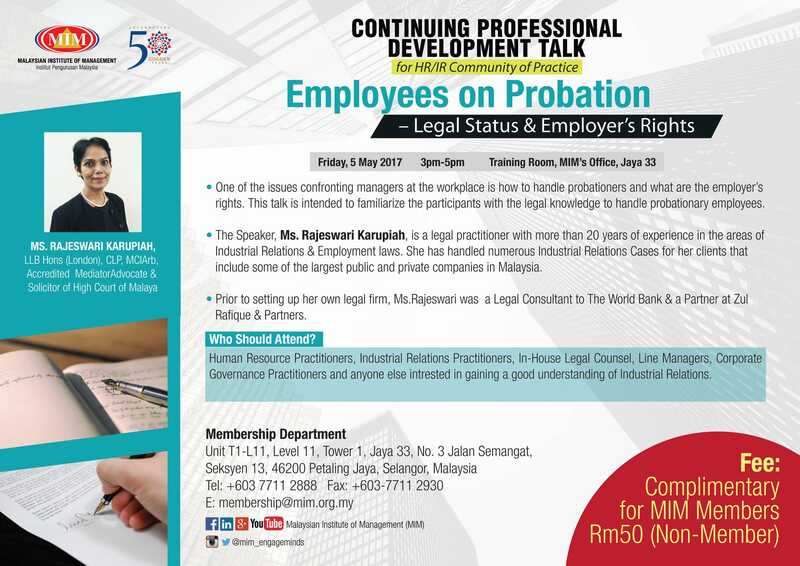 This talk is intended to familiarize the participants with the legal knowledge to handle probationary employees. • The Speaker, Ms. Rajeswari Karupiah, is a legal practitioner with more than 20 years of experience in the areas of Industrial Relations & Employment laws. She has handled numerous Industrial Relations Cases for her clients that include some of the largest public and private companies in Malaysia. • Prior to setting up her own legal firm, Ms.Rajeswari was a Legal Consultant to The World Bank & a Partner at Zul Rafique & Partners.